I’ve had a revolutionary skin breakthrough. I have had an absolutely sensational skincare experience. Where has Kiehl’s been all my life?! Yesterday, I went to Mapleview Mall and stepped into a Kiehl’s for the first time, desperate to do something about these random breakouts I have been having. I was immediately greeted by a friendly and informative skincare specialist named Breshna, who was so warm, welcoming and excited about the products, it was difficult not to get excited, myself! When you shop at Kiehl’s for the first time, the skincare experts let you know that you qualify for a free skin examination that will determine what products will be best for your skin type and your problem zones. If you don’t have the time to do that, and are more of a “shop online” type, this informative experience is also available through Kiehl’s ‘Healthy Skin Routine Finder’ questionnaire. 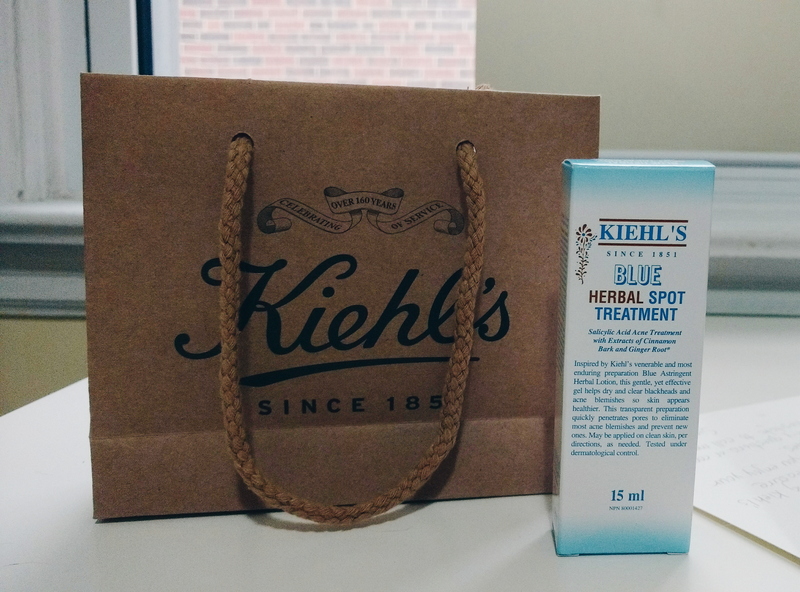 Since I went in there for problem spots, I was directed to Kiehl’s Blue Herbal Spot Treatment. I’ve only used the product for one night, and already all the breakouts I was having concerns about have dried up and diminished! I had one spot that had been fighting along for a week now, and that too has vanished. I kid you not! Miracle serum, without question! Your visit and purchase also comes with samples! I received a Calendula cleanser and toner, and I don’t think I’ve felt my skin feel so clean as I did after using that sample. The sample worked, because my next visit will include a purchase of the cleanser. I also received a sample of the Deep Pore Face Mask and OH. MY. GOD. Never have I EVER felt such power in a face mask before! It seems silly to say, but it’s changed my life: I will never use another Lush face mask or crap off-the-shelf mask on my face, again. It tingled, it firmed, it cleaned… it was out of this world. This sample has suckered me into yet another purchase on my next visit. My visit to Kiehl’s comes with perfect timing for my NYC trip, as this company originated ONE HUNDRED AND SIXTY-FIVE YEARS AGO (omg) at their flagship store in NYC! They started as an apothecary (how cool is that?) and continue to use only natural nature-derived products along with the boosting power of Science to make products that not only work but are great for your skin. The Kiehl’s company themselves also don’t test on animals, and for a veg-head animal lover such as myself, that’s not only a bonus but immensely important. 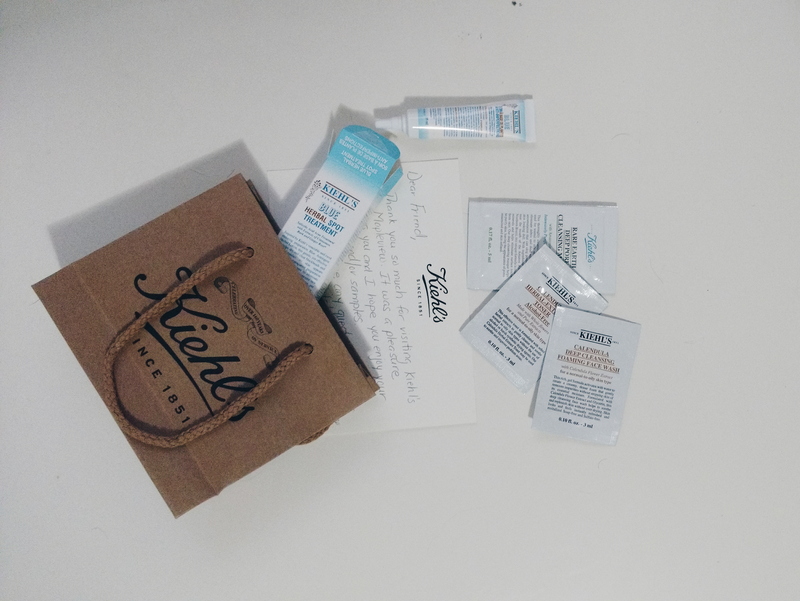 Walking into Kiehl’s was the best decision of my shopping trip yesterday, because they’ve made a life-long customer. As my skin changes, I know I will find the right products there to adapt to my skin, and transform it into the best version of itself. Yes, the cost is a notch above the price of products you’ll find on the shelf, but for good reason: they are of a higher quality, they work, and they’re natural. If you don’t start investing those few extra dollars into better skincare options, you’ll pay the price down the road! So – am I late to the party?! What’s your favourite Kiehl’s product? Or if you’re going to join me as a tardy party member, what’s got you interested?! Leave a comment!